PNC Financial Services Group, Inc is a United States based financial corporation. Located throughout nineteen states the company operates approximately 2,600 branches and provides customer access to 9,000 ATMs It is currently the fifteenth largest bank in the country and provides a number of financial services. 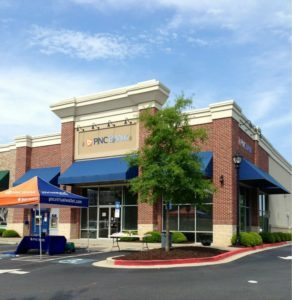 Those who bank at PNC are able to access many of their convenient services including the ability to purchase PNC money orders. Below you will find important information about PNC money order. PNC money orders can be purchased at any branch during normal business hours. An account is required in order to obtain a money order at a location. At this time PNC branches do not sell money orders to individuals who are not account holders. If that changes we will update the information on this site. Foundation checking account holders are charged a fee of $0.49 per money order transaction. All other account holders are charged a fee of $5.00 per money order transaction. The money order amount limits are determined based on your account history. To find a PNC money order location near you click HERE.